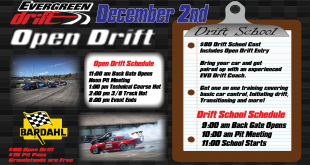 Evergreen Drift is your place to experience the excitement of drifting at its best! Home to the Northwest Grassroots Championship series and the only Formula Drift ProAm Affiliate series in the Northwest; we are one of the few venues in North America where you can go from a beginner to earning your professorial license without ever going to another track. 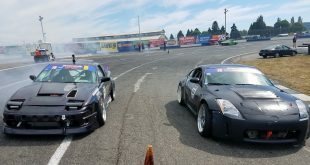 Drifters from Washington, Oregon, British Columbia and beyond have been coming for nine seasons to slay tires, tap walls, and participate in the camaraderie of the local drift scene. Join us for our next event and experience the energy and community of Evergreen Drift for yourself! 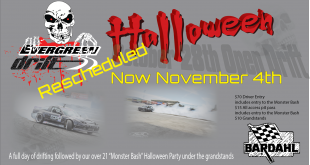 Halloween Open Drift Rescheduled to Nov 4th! October 30, 2017	Drift Comments Off on Halloween Open Drift Rescheduled to Nov 4th! 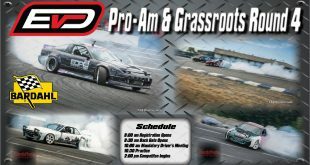 Evergreen Drift Pro-Am and DriftCon AD! 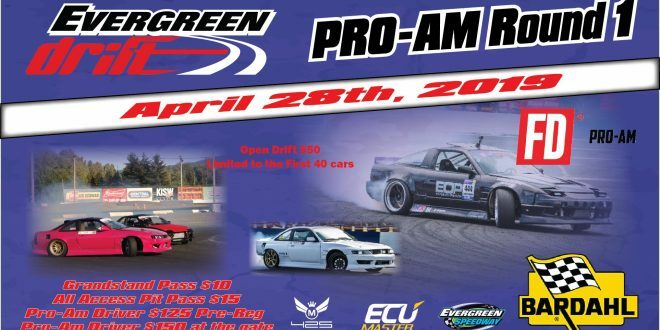 September 25, 2017	Drift Comments Off on Evergreen Drift Pro-Am and DriftCon AD! 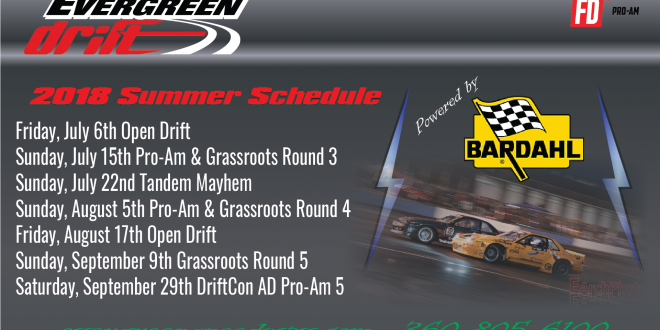 Evergreen Drift ProAm Round 4 Aug 27th Registration! 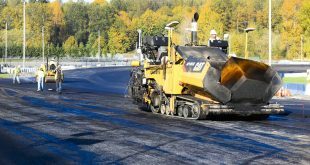 August 17, 2017	Drift, Schedule Comments Off on Evergreen Drift ProAm Round 4 Aug 27th Registration! 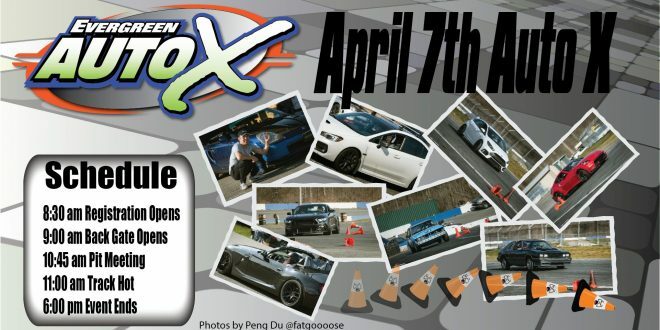 Please note we’ll use our North Pit Entrance for this event! 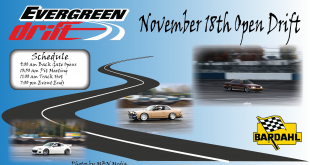 Evergreen Drift Grassroots Round 4 Registration Page! 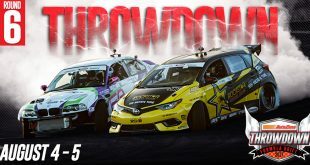 August 17, 2017	Drift, News, Schedule Comments Off on Evergreen Drift Grassroots Round 4 Registration Page! 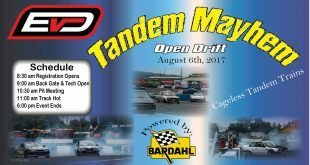 Tandem Mayhem/Open Drift August 6th! 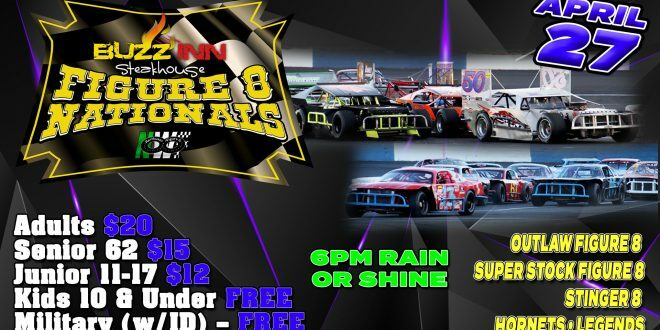 July 27, 2017	Drift, Schedule Comments Off on Tandem Mayhem/Open Drift August 6th! 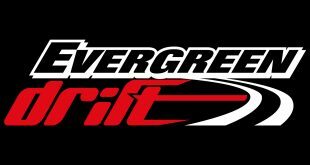 Evergreen Drift ProAm Round 3 Results! July 10, 2017	Drift, News Comments Off on Evergreen Drift ProAm Round 3 Results! Top 3! 1- Patrick Heald 2- Dalton Gearnhardt 3- Nate Snyder The Top 2 Battle!